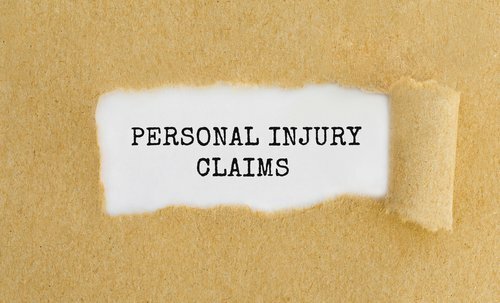 Personal injury law encompasses a wide range of cases, from car accidents, to medical malpractice, to slip and fall claims. While every case is different and you should always seek legal advice from experienced attorneys, there are a few California-specific regulations that can help ease your understanding of your situation. By knowing these laws that apply to cases in California, you will better know what you're facing when it comes time to meet with your personal injury lawyer. In every state for every type of lawsuit, there is a designated statute of limitations. The statute of limitations is the amount of time that you have to go to court and file a lawsuit after the incident in question has occurred. In California, the statute of limitations for personal injury cases is two years. This means that from the exact date you were injured, you have two years to file a lawsuit against the party that caused the injury. If you pursue a lawsuit against them even two years and one day after you were injured, the court will likely refuse to hear your case because the statute of limitations on your case is up. Always consult with an experienced lawyer as soon as possible after your injury so that you know the exact statute of limitations for your potential claim. It can differ depending on the circumstances, as in the case of claims against a city, county, or state government agency which would have a time limit of just six months. As there are limits to when you can file a personal injury claim, there are also limits on the damages you can seek in certain cases. According to California personal injury law, uninsured drivers cannot seek non-economic damages after a car accident. Non-economic damages include the compensation an injured person could seek for pain and suffering, disfigurement, physical impairment, and inconvenience. The only exception to this is if the driver operating the other car in the accident is under the influence of drugs and alcohol and if they are convicted of a DUI in connection with that accident. In medical malpractice cases, there is a cap of $250,000 on non-economic damages. It is always essential to seek the professional advice of a lawyer regarding a personal injury case. Even if you think the case is complicated, your lawyer may be able to settle the case pretrial, as 95% to 96% of personal injury cases are. This could save you the time and stress of going to court, while receiving the compensation you deserve.